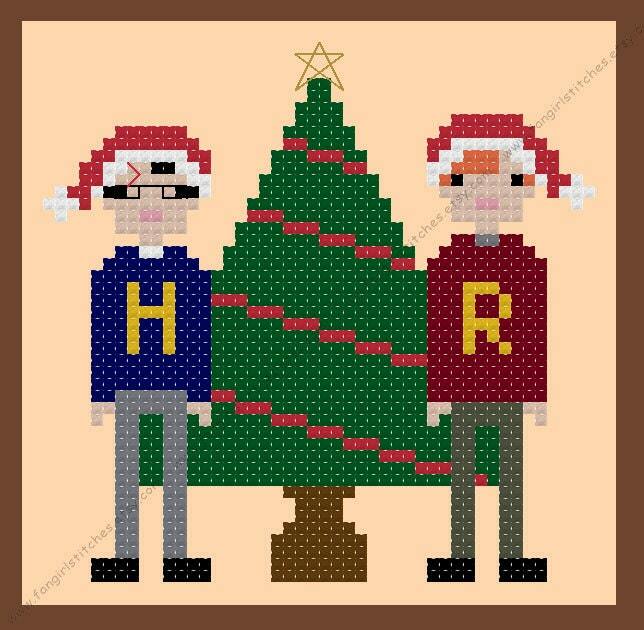 Have a magical Christmas with Ron and Harry, and stitch your very own Christmas card or decoration! 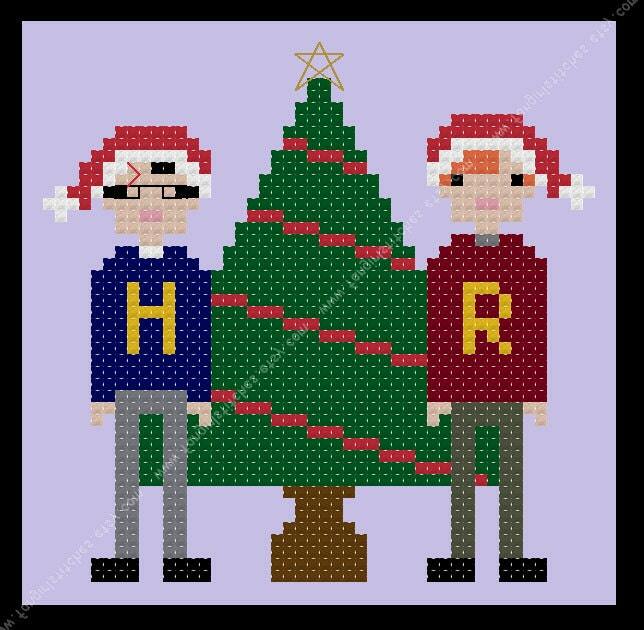 "Happy Christmas Ron. What are you wearing?" "Oh, my Mum made it. Looks like you've got one too." The patterns come with colour charts, including a guide for starting and finishing your project. The floss key is DMC and Anchor, although of course you can adapt it to suit your preferred brand of threads. The design include full and half-stitches, and backstitches, and is suitable for beginner stitchers. The finished patterns measure 8.5 x 8.5 cm. Patterns are for personal use only. Finished products may be given as gifts but not sold for profit. Thanks!